Body Transformation: Raymond Reyes Torched Fat With Big Brawn! Football gave Raymond reason to eat dirty in high school, but college life required him to adopt clean foods. See how he transitioned from 33 to 20 percent body fat! I was always the fat kid and grew up with endless teasing, bullying, and insults. Everyone made it clear that I was big and I kept telling myself that one day my weight wouldn&apos;t be an issue. I wanted my friends and family to be proud to say they knew me rather than overhearing how fat I was. Going into high school at age 14, I weighed 250 pounds and was afraid of what I&apos;d hear in the hallways, but my life started to change. I didn&apos;t play sports growing up, which contributed to my weight gain, but I caught the football coach&apos;s attention and he knew I would be an asset. I excelled as an offensive lineman, built confidence, and was recognized by my peers. By my senior year, I was fully grown and weighed 265 pounds. It wasn&apos;t all bad though. I became the football and rugby captain and learned to navigate the weightroom. I learned to embrace my size and made every day a bulking day. I decided to transform after high school when I realized sports fell out of my daily habits and college life took over. I no longer needed to look like a jock and it was time to take care of my health and look good for myself, so I made adjustments and slowly improved. Living in a Filipino household meant that rice was an everyday meal, so cutting that was my first adjustment. After conquering the seemingly impossible, I cut out energy drinks, created a meal plan, added more cardio in the gym, and slept more. Before I knew it, I needed smaller pants. Controlling my health and learning to be happy with myself were the biggest adjustments I made, and I&apos;ll never regret it. I feel more self-confident than ever and want to turn my life into an ongoing success. Losing weight after a long bulk takes more than just believing in yourself. When you hear people say it takes hard work, patience, and commitment, they aren&apos;t kidding. It requires hard work, discipline, and self-confidence just to get the ball rolling. I was used to lifting with the football team in high school. When that support system left, it took a toll on me. I received good amounts of knowledge through sports and just had to put it together with proper training, dieting, and organization. I put it together and everything fell into place. I created small goals to look forward to at the end of the week to stay motivated for big goals. Being able to look at myself in the mirror without wanting to pinch my love handles and cry was a great feeling. I use a slightly modified plan provided by my high school coach to maintain strength and get lean, which explains why I do almost the same workouts three times per week. "I&apos;m in school to become a gym teacher so I can be an inspiration to younger kids." I dealt with many issues, but diet and organization were the hardest. I created a diet that helped me burn fat and provided enough energy to survive school and training. It took time to get in gear and learn to manage my days so I could eat properly and get my homework and studying done. I don&apos;t plan to become a bodybuilder, but I do play rugby and it completely transformed my body. I&apos;m excited to see where the sport takes me. I&apos;m in school to become a gym teacher so I can be an inspiration to younger kids. Transform for yourself and be confident in the mission. Take control of your diet and training. Never become overconfident. There&apos;s always room for improvement. 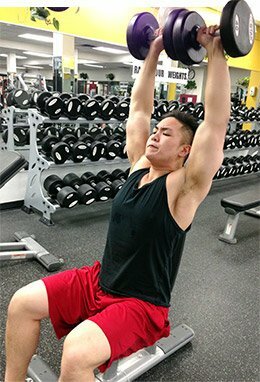 Bodybuilding.com provided the extra boost I needed in the second semester of school. In the midst of my transformation, I discovered the 100k Challenge and BodySpace, which pushed me harder than ever. Brandon bulked for football and ate recklessly during his youth. Check out the nutrition and training plan this teen used to lose 120 pounds before prom! Body Transformation: David Zalec Is Transformation Motivation! David&apos;s bullies became his bros after he get ripped and garnered positive attention. Check out the training, nutrition, and supplement plans he uses to attack the weights!